I won’t go into all the ways a standalone website can be a 24/7 workhorse for you business, but you at least need a presence for the sake of legitimacy. Not having a website in 2014 is almost as bad as having one that hasn’t been updated in over 5 years. Whether it is Facebook, Twitter, Instagram, LinkedIn or whatever is next on the horizon, you can’t reach less customers by investing in some form of social media presence. No matter what industry you are in. I promise. If you don’t know how to get started, there is a ton of information out there. If you still don’t know how to get started, give me a call. SEO for your website is just one component. There are several avenues you can and should explore to make sure that your web presence is as optimized as your site. When you Google your brand, what comes up? This can be daunting and time-consuming, but if you have something to say about your industry, you owe it to your business to start blogging and sharing your expertise or your passion. It costs you nothing but your time and can be extremely valuable short and long term from the perspective of personal growth as well as lead generation and growing your customer base. Who are your competitors? What are they doing? You can learn from their mistakes, emulate their successes and either level the playing field or completely blow them out of the water by more effectively optimizing your web presence. If you operate a primarily local or hyperlocal business, look outside of your area to see what others are doing to capitalize on the limitless marketing opportunities that the Internet provides at low (or even no) cost. Please feel free to leave your comments below or share them via email or phone. Thanks for reading, folks! What is the single biggest problem you face as a small business owner? Over the holiday weekend, I asked this question to a few of my fellow small business owner friends and here are the three most common answers. What are you doing today to bring new customers to your small business? Seriously. Start tracking every effort to market your business whether it is your monthly networking breakfast, that hour per night you spend on Pinterest or optimizing and promoting and your new blog. Quantify it and come up with a rough cost per new customer for a given period. New customers are the cornerstone of new revenue that puts you in charge of your decisions. More revenue makes it easier to make advertising decisions. Now perhaps you can afford to pay for a phone list of the neighborhood where you just spent all that money on that 5×7 mailer. Maybe you can even afford to pay someone $10 an hour to telemarket for you with an optimal script. Turn those leads into enough revenue to buy a bigger list. Lather. Rinse. Repeat. Takeaway: If you are reading this blog, you are quite likely the best possible Brand Ambassador for your small business. Work it like it’s your job. 2. Not enough good help. This rings true for every small business to some degree unless you’re a sole proprietor and lone employee. We aren’t all lucky enough to find interns or apprentices that come free or at a discount and have the added bonus of usually being quite eager and industry specific. If you can’t really afford a paid channel, the options beyond word of mouth aren’t as slim as you may think. Craigslist ads might cast the biggest net, but we all know what kind of time it takes to sift through 50 to get 1 maybe. Indeed, Job Seeker, CareerBuilder aren’t cheap, but may be the best approach if you need folks now. One alternative we’ve found successful is reaching out to local colleges (squeeze your connections who are alumni) to see if you can get some real estate on a job board specific to your industry. Alternatively, if your website gets a good amount of traffic, why not make a quick Jobs page with a concise description of areas in which you need help? (When you’re not hiring, just switch this up a little so it is vague enough to convey that there are no open positions.) Track how many visitors the page gets. Post a link to it on your Social Media channels. Put a $5 targeted boost on the Facebook post and ask your friends to spread the word. 3. Not enough money to fund any growth. This goes right back to number 1. Borrowing can be a slippery slope, especially if you make any moves tainted with desperation. You have an operating budget. Rewrite it. Find ways to make forecastable cuts and use them to fund a new expense: Growth Strategy.Develop a plan on how to best use that money by attaching a detailed Growth Strategy to every dollar. Whether it is investing more money or time into your website’s content, your website’s SEO, your business’s off-page SEO or any other marketing avenues, track your actions and your directly associated results to come up with a real ROI. I guarantee more customers will result, followed by more revenue to sponsor growth. Takeaway: Don’t be afraid of your P&L. No matter how much you hate those numbers, think of it as an opportunity to improve your business every time you recrunch them. There might be a Gamechanging idea hidden in there somewhere. I hope you appreciate my unscientific survey. I find immense pleasure in talking to other small business owners to hear about their challenges because some of them are my challenges. Or were. Let me know if you’d like to have a conversation. As always, I appreciate any comments or insights. We’re all learning. Tags: small business, small business growth strategy, small business problems, small business solutions | Permalink. Use all of your resources to make your Facebook posting more effective and more efficient. Even scheduling your post the minimum of 10 minutes into the future allows you to see how it will actually look when it goes live. (Isn’t the future fun? 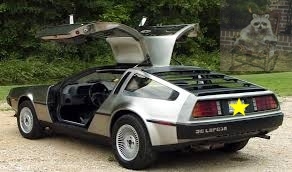 You can pretend you’re in the Delorean.) Remember you can’t fully edit a post after it goes live so this gives you a window of opportunity to catch something you might have missed either in the photo, the copy or the integrity of the links. Why not give yourself a second chance to catch it? Need your partner to approve a post and/or add some content? Schedule it six hours from now (if that is indeed still a good time to post) and give ’em a deadline. If you’re happy with it before then, you can always Publish Now. 2. Timed posting with optimum frequency. Take the guesswork out of the equation. Spontaneity is great, but so is posting exactly when most of your fans are browsing. Are you trying a new happy hour special for a Tuesday night? Work on your post Tuesday morning and schedule it for 2:00 or 3:00. See what gets the most engagement for different types of content and use that as your timeframe. Work on two posts Sunday night and schedule them for Tuesday morning at 7:00am and Friday at 10:00am. Now you can work on the rest of your business during the week and just keep an eye on the Insights. Tags: facebook, Facebook for Business, facebook posting, scheduled posting, small business, small business blog | Permalink. Facebook Organic Reach Is Alive! What is your Facebook page doing for your business today? Is enagement up and reach is down? Or is your reach up and engagement is down? It doesn’t matter. If you’re reading this blog post, you’re concerned and smart enough to keep Facebook working for you. The dizzying daily requirement of keeping up with the temperament of the fickle 10-year-old that Facebook is can seem like too much. Is Facebook even worth it anymore? The short answer is yes. Do you need to spend a few dollars a week in paid posts? Maybe. The fact may be that organic reach is down across the board, but engagement is up. Less people may be seeing your posts, but the one’s that do are people that are inherently more interested in them and their engagement shows it. Just so long as you keep engaging them with high quality content. (No more fuzzy pictures, text only posts or any of the other big NO-NOs.) These aren’t your personal friends. (At least I hope not — just like your business, no one has enough friends to keep them in business.) They need a real reason to like, share, click or otherwise do whatever you want and need them to do. finally let go of the boring self-promotion and 2) trust Facebook and its algorithms. Better engagement will increase your reach so that should be your focus, Better reach will increase your fan base or at least create new customers for your business. I hadn’t paid for a boost in a while until yesterday and it was $5 well spent. Depending on the value of a new customer for your specific business, reaching an extra thousand people to get ten new customers might be the greatest and easiest ROI you can find. You can always improve your content. Schedule posts when you can and keep your frequency steady. Tags: facebook, facebook business page, Facebook for Business, jamie campbell, sbsbyjamie, Small Business Marketing, social media marketing | Permalink. That’s fair, but you have to take a hard look at what kind of content you’re posting. Will your fans find it useful, entertaining and welcome in their Feed? If so, keep doing what you’re doing and your engagement should rise. Do you need a paid ad or a boosted post? Maybe. Maybe not. But you definitely need to put in the effort and be willing to experiment. If two or three well-optimized posts a week aren’t getting you the numbers you need and you have the budget, try some super targeted paid posts to see if you can build it that way. If your content just isn’t interesting, you may really have to think outside the box like Morgan Miller Plumbing, but you don’t have to spend a fortune unless you can afford it and you shouldn’t until you confirm that it works. That said, what is the value of a new customer for your business? If it’s a lot more than $5, then I recommend you spend that on a targeted Boost. The chances of an acceptable ROI seem pretty good, right? Try it, use the extensive analytics (Facebook calls them “Insights”) to see what is and isn’t working and give it at least a month. I understand the frustration of seemingly losing a “free” advertising channel, but how long can anything like that last. Engaging content always mattered, but it just wasn’t as crucial until every small business on the planet started clogging up News Feeds with SPAM, crap or SPAMMY crap. The stakes are just higher now and using best practices (and a bit of your advertising budget if you have it to spare) will keep Facebook for Business working as an extremely valuable marketing tool for your business. Disclaimer: I am a small business owner and not affiliated with Facebook, Google, Aviary, Justin Timberlake or anyone but my own clients. These best practices are what I have learned from using Facebook for the last six years and may not work for everyone or every business. I welcome any comments or suggestions because I’m trying to figure this all out just like you. 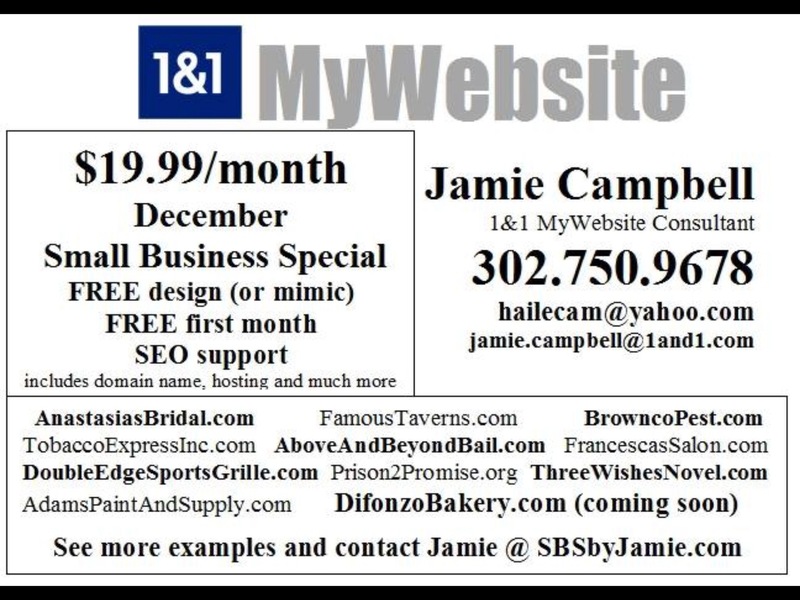 Please email me at jamie@sbsbyjamie.com, visit my website or my Facebook page. Thank you. article with some great ideas for your business blog (if that’s your thing). Tags: EdgeRank, Facebook for Business, free small business tips and tricks, Paid Facebook Advertising, Small Business Marketing, social media marketing | Permalink. 1. POST IN ALL CAPS. This frowned-upon phenomenon of chat rooms, forums and comment sections has almost gone extinct, so anyone going this route on their Facebook business page sticks out like a sore, unprofessional thumb. 2. Use a personal Facebook page for your business. It is technically a Facebook no-no and there are several advantages to a business page versus a personal page. It is also fairly easy to convert. 3. Have a small audience. Less than 200 likes means your readership may be a lot lower than you think. With the recent changes to the Facebook News Feed algorithm, anywhere from 16% to as low as 2% of your “Likes” may see your posts in their Feed. Increasing the quality of your posts (see below) is key, but having a more popular page is a good start. Buying likes is expensive and discouraged by the cognoscenti, but reaching out to your friends, your website visitors and current customers costs nothing but a concerted effort. 4. Use too much text. Less is more and Twitter’s 140-character limit is a good benchmark. 5. Post without an image. Humans are visual creatures. Posts with photos average 53% more likes than text alone. (And we all know that Facebook owns Instagram, right? 6. Overpost. There are lots of statistics out there, but the gist is that you don’t want to turn people off by blowing up their feed, no matter how great your content. I may like a lot of pages, but I’ve unfollowed/hidden many of them for this reason. Facebook’s new algorithm has taken it one step further and stopped showing you pages that you consistently fail to interact with. 7. Underpost. This should go without saying, but people forget about you quickly in this new social media blizzard. If you’re only posting once a month, why post at all really? 8. Have incomplete or incorrect information. Short description, long description? Fill them in. They are indexed by Google. 9. Thinking that you don’t need a website. There are a multitude of reasons that a Facebook page just is not a substitute for an effective web site, many of them enumerated quite well here and here. If you’re going to take advantage of everything that social media can do for you, the power of Facebook cannot be underestimated. Remember, however, that Likes and Shares don’t pay the bills. The goal is to convert these into real customers and real revenue, so focus your efforts in that direction. To get an idea of what an extremely successful Facebook business page looks like, poke around SME, HubSpot and Moz and check out what they are doing. 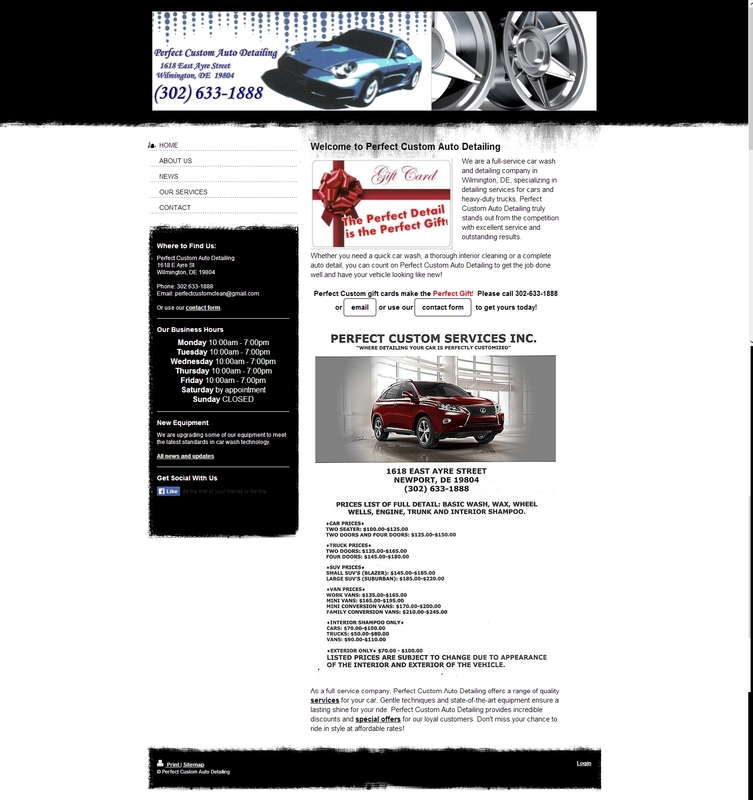 Any questions or comments, please email me or visit my website. Cheers! Tags: business page, facebook, off-page SEO, small business, social media, website | Permalink. 1. 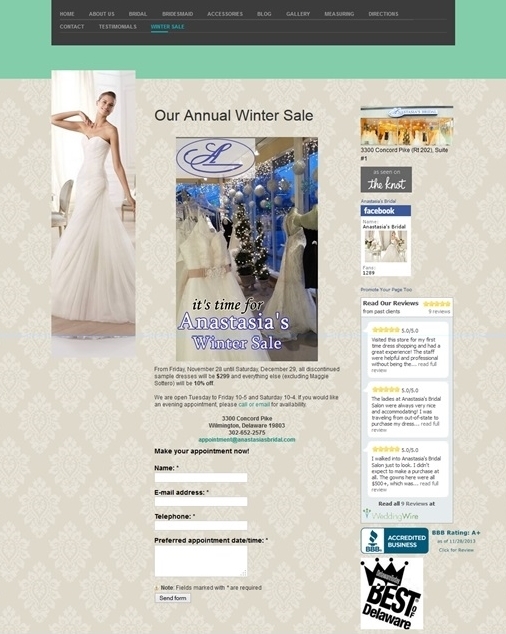 Evaluate and expand your web presence. Use Yext to find out where your business is currently listed on the web. Correct any addresses or otherwise incorrect listings. Register with the major search engines and verify your business location, phone number, website and whatever you can at no cost. Don’t waste your time with any service that promise to list you with umpteen search engines or directories and definitely do not pay for anything. If you come across any pages offering links like “Is this your business?” “Claim this listing/page” or “Are you the owner?”, do it so long as it passes the sniff test. Bonus points if you have the time and ambition to explore all that Google Webmaster Tools (GWT) and Bing Webmaster Tools have to offer. These can be invaluable resources, but be careful how much discretionary time you are spending. 2. Take your social media seriously. Depending on your business or industry, different social media channels may or may not work for you, but you need to investigate them all. Not on Pinterest because your client base is mostly men? You may be missing out on the 4th largest source of social media traffic. Men are pinning at a very impressive rate, like here, here and here. It will take a little homework, but you owe it to your business to find out if it is worth your time to Tweet and Tumble if only to expose your brand and drive traffic to your website. It may be hard to put a definitive ROI on your valuable time, but considering what you would have to pay even the most inexpensive marketing expert, you’re a relative bargain. When in doubt, take a look at your competition: if they’ve got a profile page on LinkedIn or Instagram (owned by Facebook) or they’ve got a YouTube (owned by Google) channel, you might need to follow suit just to stay in the game if not win it. 3. Embrace the power of email marketing. You may very well have a database of customer email addresses in a database somewhere, perhaps a notebook or even a spreadsheet, just waiting for the right time to use them for something. Sign up for MailChimp and import or add 100 email addresses. Create a simple yet snazzy newsletter that contains some special offer/discount/value-added service available only to subscribers and a call-to-action. Track the responses, tweak the design, change the offer. Lather. Rinse. Repeat. Continually try to build your database by capturing leads through your website and manually. Monitor the unsubscribers. While you probably don’t want anyone on your list anyway who doesn’t want your product or service and isn’t going to be a customer, if you’re dropping folks too quickly, you may have to adjust the frequency or the content of your emails. There is a lot of help out there on how to fashion your mailings and this is an excellent start. Remember, the only goal of your Subject line is to get the reader to open the email and take the next step. I won’t spend much bandwidth on this, because too much has been wasted already. Everyone’s an expert on SEO. Just Google it if you don’t believe me. Lots and lots of folks would love to charge you north of $200 a month to get you organically ranked at the top of the SERP. There may be some value to that for certain budgets, but the ROI is questionable at best and 80% of the companies pitching any kind of Search Engine Marketing or Optimization are going to rip you off. That said, this is a great primer and it is provided by, who else, Google. They’re the ones that make the rules and they tell you almost exactly what to do to please their spiders. This may well take the most time of any of these actions because, if you have an artistic bent whatsoever, blogging can consume you. It is fun, gratifying and everyone is doing it! No one knows more about your business than you do, so write about it. It costs you nothing but your time and the rewards in traffic and brand awareness could pay off ten-fold. Wait, you’re an amateur photographer as well? I sincerely hope that you find any or all of this information helpful and accurate. I welcome any comments or corrections. Please visit my website or find me on Facebook. Thank you and Happy Holidays! Tags: blog, grow your business, mywebsite, small business, small business solutions, tips and tricks, website | Permalink.